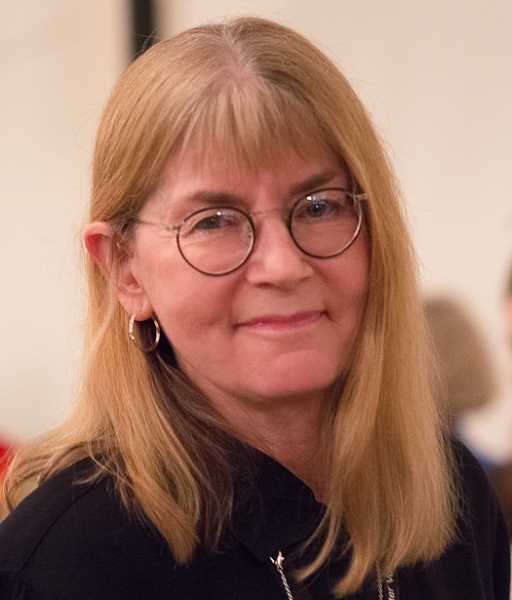 September 1, 1950 - November 23, 2018 Catherine M. Galbraith, 68, a strong voice for architectural preservation in the Pacific Northwest for more than 30 years, died in Portland on Nov. 23 from complications following a stroke. Catherine M. Galbraith, 68, a strong voice for architectural preservation in the Pacific Northwest for more than 30 years, died in Portland on Nov. 23 from complications following a stroke. A native of Pittsburgh, PA, Galbraith earn a bachelor's degree from Pennsylvania State University and a master's in urban planning at Portland State University. Galbraith's government career began in Oregon City in 1977 and by 1986 she had become that city's Director of Development Services. She was especially noted for her work advocating for the importance of historic places. In 1987, she moved to Seattle to serve as executive director of the non-profit Historic Seattle, where her work included the rehabilitation of numerous historic properties, initiation of an annual lecture series, and Seattle's first historic rehabilitation project combining preservation tax credits with low-income housing credits. The latter was honored as the National Mortgage Bankers Association Multi-Family Project of the Year, and earned an Honor Award from the National Trust for Historic Preservation. Galbraith moved back to Portland in 1993 to serve as the founding executive director of the Bosco-Milligan Foundation where she managed an extensive collection of artifacts, exhibit and program development, and rehabilitation of the historic 1883 West's Block as the Architectural Heritage Center. Restoration of the building received a National Trust Honor Award in 2005. Galbraith documented historic places associated with Portland's African American community which resulted in the volume, "Cornerstones of Community." In 2010, she was the second recipient of the University of Oregon's George McMath Award in Historic Preservation. Cathy also received the Architectural Legacy Award in 2015 given by the NW Examiner newspaper. This award recognized her diligent work in raising Historic Preservation as a fundamental goal in the West Quadrant of the city. Galbraith retired from the AHC in 2016. Meanwhile, her personal advocacy helped the National Park Service decide in 1987 to restore Crater Lake Lodge. As a volunteer, she held leadership roles with the Oregon-California Trails Association, Historic Preservation League of Oregon (now Restore Oregon), and many city planning bodies such as Portland's Interstate Corridor Urban Renewal Area Advisory Committee. Galbraith was predeceased by her husband, jazz icon James "Sweet Baby James" Benton She is survived by brothers John (Mary Beth), Roger (Lynn), and sister-in-law Janna Galbraith. A public Celebration of Life will be held at a later date. Memorial donations can be made to the Architectural Heritage Center's Cathy Galbraith Fund or a preservation project of your choice. Arrangements by Crown Memorial, where there is a fuller obituary link.